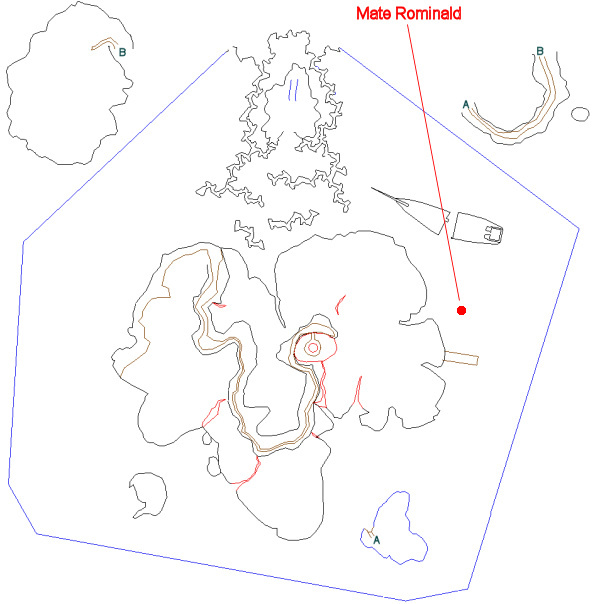 This solo task begins with Mate Rominald, in the water north of the dock (click for map image). Say "drink" to request the task. Mate Rominald coughs and spits out the salty raindrops. 'Would you... give an old [sailor] one last [drink]? You have been assigned the task 'A Rising Storm'. Mate Rominald, in his last words, tells you of Ognit's attempts to help the victims of the great storm. You must assist Ognit in these attempts and find out the nature of the storm. In the water next to Mate Rominald is a ground spawns: "Flask of Liquor". Mate Rominald drinks deeply. The water on his face is warmer than rain. 'Dying is never easy sober.' Mate Rominald lies back and closes his eyes. 'The gnome further down the beach -- Ognit someone called him -- he kindles a fire and looks for the mates who wash up in this gods-forsaken place. He fights against this darkness. He might last longer than I will... but in the end it's salt water on your face, liquor in your gut, and darkness behind your lids.' Mate Rominald grows quiet. 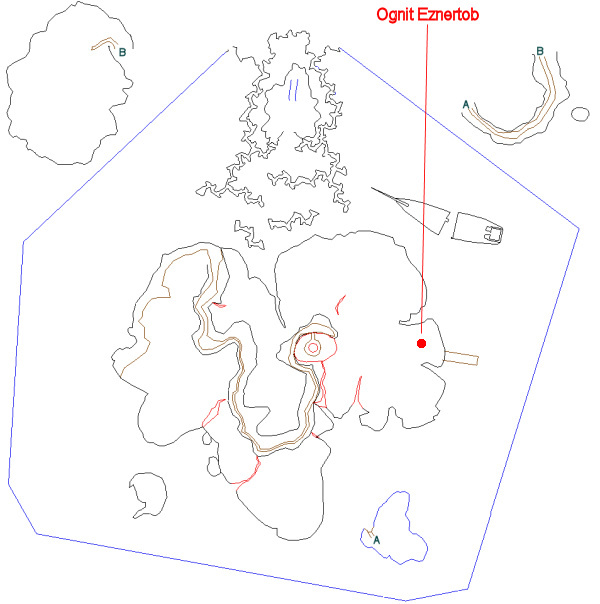 Ognit Eznertob is on the coast of the island just west of Mate Rominald (click for map image). Hail him four times. "Piece of Driftwood" are ground spawns all around the east coast area. They appear as big branches partially submerged in the water. In the far northern part of the zone is a reef area full of "a _____ crawler" mobs. These drop "Crawler Meat" - loot three of these (NOT pre-lootable). Hand in the eight items, and then hail him until the task is updated. Ognit Eznertob smiles as he wipes wet strands of hair off his forehead. 'Thank you. _____, right? There's so much on my mind right now, and my body can only be one place at a time. I wish I could do more!' Ognit Eznertob throws the driftwood into the fire and begins preparing the crawler meat. Hail him some more until the task updates. 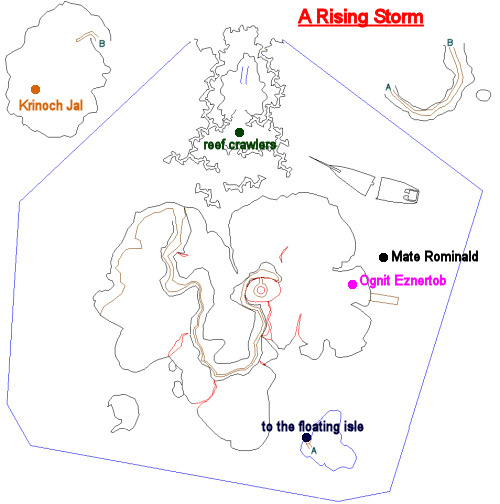 The floating island is found in the southeastern part of the zone. These are air elementals, standard mob difficulty (immune to stuns; can be mezzed and rooted/snared). 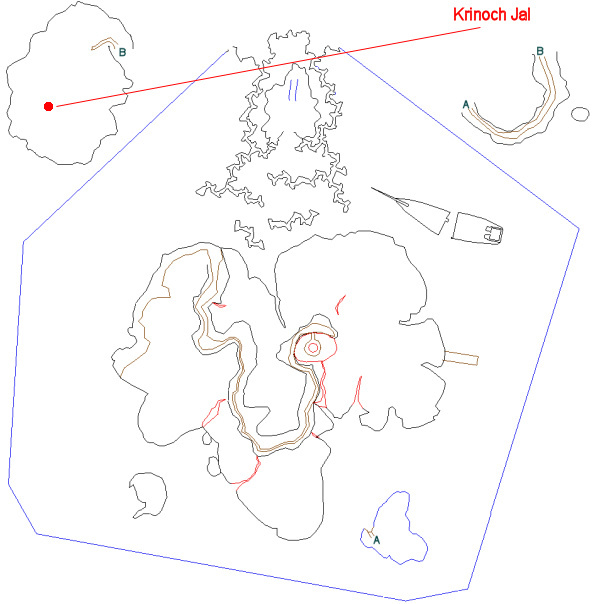 Krinoch Jal (click for map image) is found on the southwestern part of the floating island. Hail it until the task completes. Most of the crawlers had 4 meats so this step goes fast if you're doing a whole group. (note: it's possible that only drops from "a reef crawler" count, and these are NOT pre-lootable). Just dropped "a coral crawler". It had 2 meat, and they both counted for the quest. Searching endless. But they are not obvious like most ground spawns. Take the very thin branches in the water near and around the quest NPC. Heading to the zombie ship, there are more. INVU helps, but take care, some see throught INVU too. [Wed Oct 29 09:34:51 2014] Mate Rominald coughs and spits out the salty raindrops. 'Would you... give an old [sailor] one last [drink]? [Wed Oct 29 09:35:07 2014] You have been assigned the task 'A Rising Storm'. [Wed Oct 29 09:35:16 2014] Your task 'A Rising Storm' has been updated. [Wed Oct 29 09:35:16 2014] Mate Rominald drinks deeply. The water on his face is warmer than rain. 'Dying is never easy sober.' Mate Rominald lies back and closes his eyes. 'The gnome further down the beach -- Ognit someone called him -- he kindles a fire and looks for the mates who wash up in this gods-forsaken place. He fights against this darkness. He might last longer than I will... but in the end it's salt water on your face, liquor in your gut, and darkness behind your lids.' Mate Rominald grows quiet. [Wed Oct 29 09:37:08 2014] Your task 'A Rising Storm' has been updated. [Wed Oct 29 09:37:22 2014] Your task 'A Rising Storm' has been updated. [Wed Oct 29 09:37:28 2014] Your task 'A Rising Storm' has been updated. [Wed Oct 29 10:21:37 2014] Ognit Eznertob smiles as he wipes wet strands of hair off his forehead. 'Thank you. Amio, right? There's so much on my mind right now, and my body can only be one place at a time. I wish I could do more!' Ognit Eznertob throws the driftwood into the fire and begins preparing the crawler meat. [Wed Oct 29 10:21:37 2014] Your task 'A Rising Storm' has been updated. [Wed Oct 29 10:21:45 2014] Your task 'A Rising Storm' has been updated. [Wed Oct 29 10:21:48 2014] Your task 'A Rising Storm' has been updated. [Wed Oct 29 10:21:57 2014] Your task 'A Rising Storm' has been updated. [Wed Oct 29 10:22:05 2014] Your task 'A Rising Storm' has been updated. [Wed Oct 29 10:22:09 2014] Your task 'A Rising Storm' has been updated. [Wed Oct 29 10:22:14 2014] Your task 'A Rising Storm' has been updated. [Wed Oct 29 10:22:17 2014] Your task 'A Rising Storm' has been updated. [Wed Oct 29 10:22:22 2014] Your task 'A Rising Storm' has been updated. [Wed Oct 29 10:22:26 2014] Your task 'A Rising Storm' has been updated. [Wed Oct 29 10:22:33 2014] Your task 'A Rising Storm' has been updated. [Wed Oct 29 10:22:39 2014] Your task 'A Rising Storm' has been updated. [Wed Oct 29 10:22:43 2014] Your task 'A Rising Storm' has been updated. [Wed Oct 29 10:22:51 2014] Your task 'A Rising Storm' has been updated. [Wed Oct 29 10:23:00 2014] Your task 'A Rising Storm' has been updated. [Wed Oct 29 10:38:01 2014] Your task 'A Rising Storm' has been updated. [Wed Oct 29 10:38:08 2014] Your task 'A Rising Storm' has been updated. [Wed Oct 29 10:38:18 2014] Your task 'A Rising Storm' has been updated. [Wed Oct 29 10:38:24 2014] Your task 'A Rising Storm' has been updated. [Wed Oct 29 10:38:24 2014] You have received a replay timer for 'A Rising Storm': 0d:6h:0m remaining. [Wed Oct 29 10:38:24 2014] You receive 75 platinum . [Wed Oct 29 10:38:24 2014] You gain experience! !